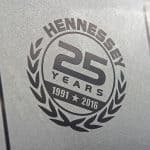 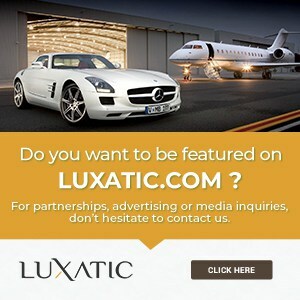 I think it’s safe to say the people at Hennessey Performance are some of the world’s best car tuners, and their incredible way of celebrating 25 years of activity definitely deserves to be mentioned on Luxatic. 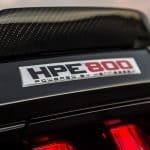 The American tuning house has recently unveiled the Hennessey 25th Anniversary Edition HPE800 Ford Mustang, a limited edition ride which brags about more than 800 HP and many other goodies. 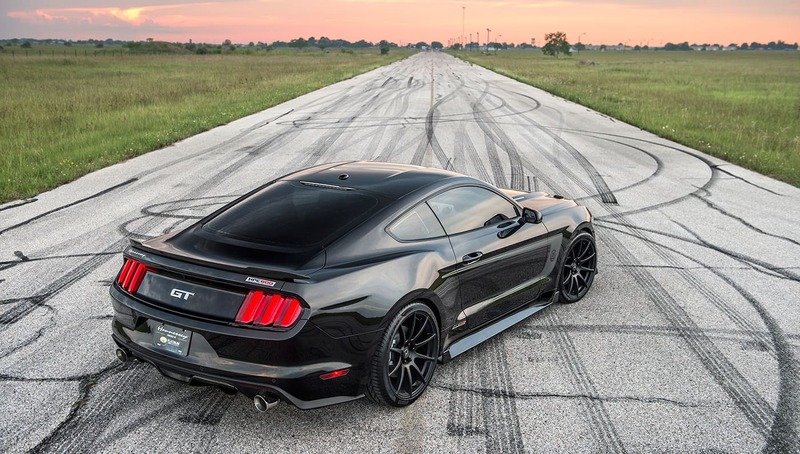 Powered by a massive 5-liter HPE800 supercharged V8, that’s capable of developing exactly 804 hp and 648 ft lbs of torque, this Mustang could easily take your breath away, offering an extra 278 hp and 219 ft lbs of torque more than Ford initially intended for this vehicle. 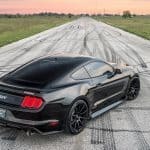 As a result, the new and improved Mustang will do 0 to 60 mph in 3.1 seconds and continue to accelerate towards an astonishing top speed of 208 mph. 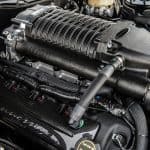 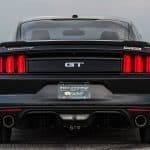 Aside from the engine now benefiting from a 2.9-liter supercharger system, the performance package added onto the Mustang also includes upgrades to the fuel injectors, as well as new pump and exhaust systems. 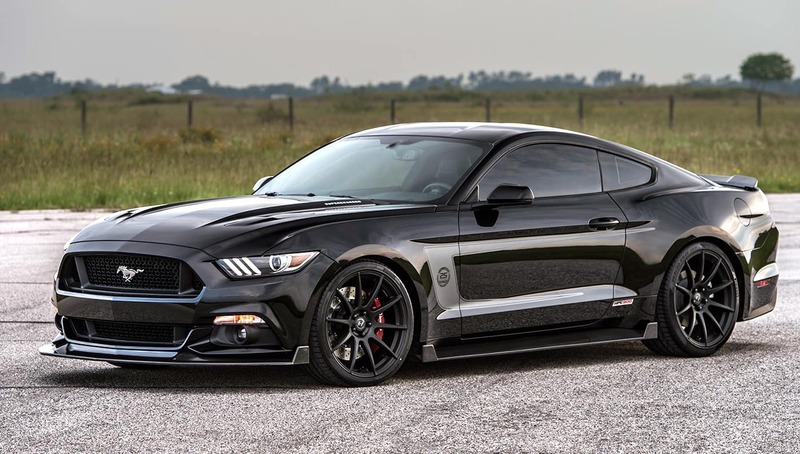 Aerodynamics haven’t been ignored either, with Hennessey’s CarbonAero front splitter, side sills, and rear-lip spoiler now improving the Mustang’s overall aesthetics and performance. 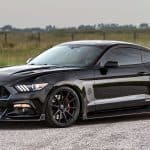 You should also know that each of these custom rides will come with Michelin Pilot Super Sport rubber wrapping a new set of 20″ alloys from Hennessey. 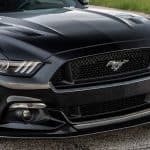 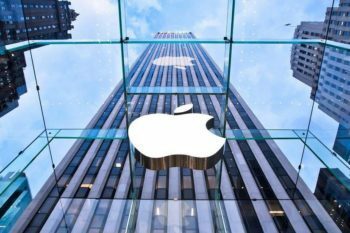 Additional features that have to be mentioned include exterior and interior badging and graphics, as well embroidered headrests. 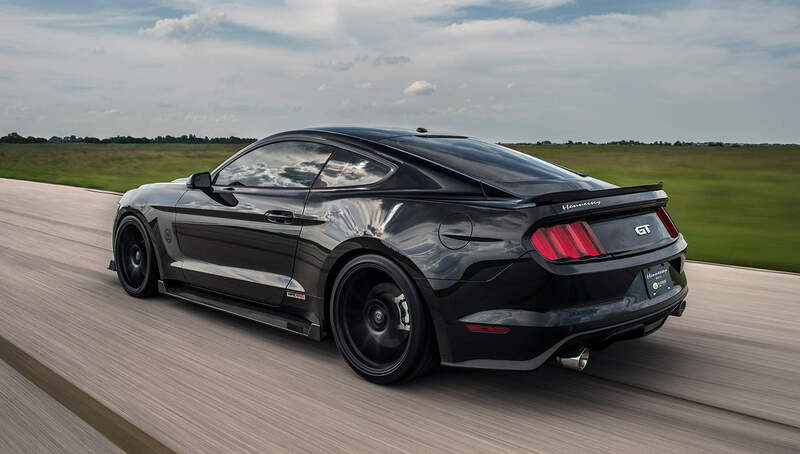 Although we can’t tell you what costs this upgrade implies, you should know that owning one of these dark ponies is a privilege, considering that only 25 will be up for grabs.